Austin Melcher sent this one in: This was taken in Canastota, New York. 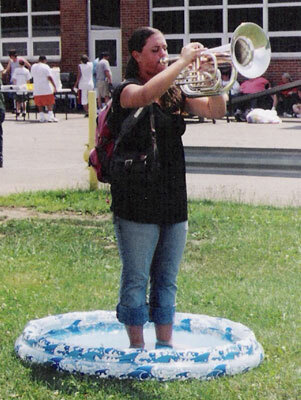 Liz Soules, student at UW Eau Clair and a member of Capital Sound, was practicing for her solo for the DCI Solo and Ensemble contest and it was a hot day so she decided to cool off her feet. Thanks Austin!